New to the JewishMusic Stream? You can go to http://jewishmusicstream.com/requests/, and type a song you’re looking for in the search bar or click on the letters to sort by artist name and the hit the big blue “Request” button, and wullah!, your song has now been entered in the queue and it will even tell you what place in line it is. Looking for a song you love but don’t see? Head over to the Contact Page and let them know! 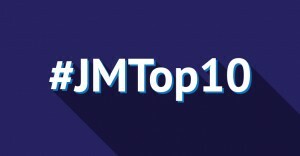 We’d like to know what each person likes, so feel free to tweet us using #JMTop10 with the song you requested and your tweet could be featured in next months JMTop10 article! Feel free to leave your comments below or hit me up on twitter @sgstudiosdg.